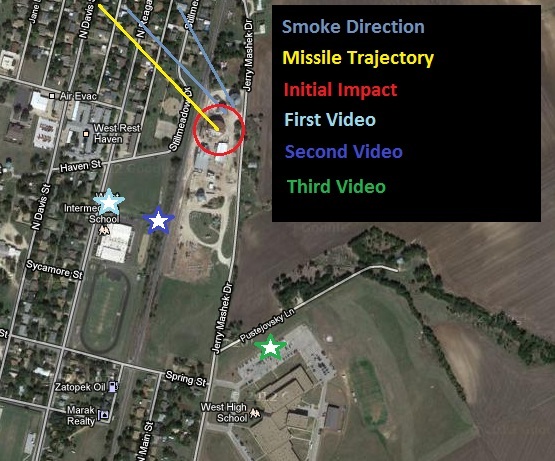 There’s been a great deal of feedback on my previous article discussing how video footage captured of the West Texas fertilizer plant explosion shows what looks to be a missile strike. People seem to have mixed opinions on what happened and that is understandable. We are not all going to 100% agree on everything and we are especially not all going to 100% agree on something as cryptic as this, but it is important that we have an open discussion about this topic. 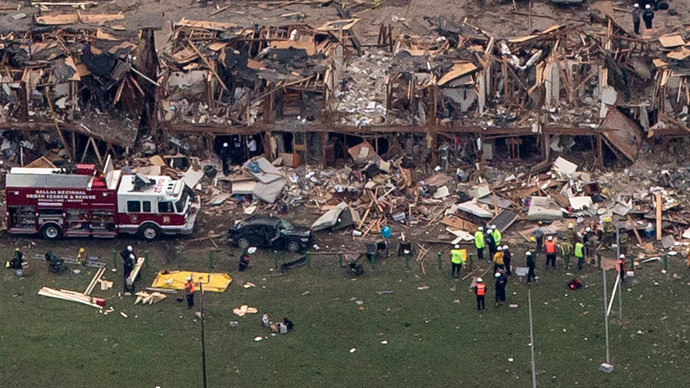 Death Toll Rises to 14 ~ 160 injured in Texas strike. It seems as if the mainstream of the so-called alternative media does not want to have any sort of open discussion about what happened with this incident. Alex Jones if you even want to consider him alternative media due to his numerous appearances on Zionist approved media stations and talk shows hasn’t touched this subject with a ten foot pole. Then you have Mark Dice putting out a video using all sorts of ad-hominem attacks against people who are questioning what happened. His video literally looked like something you would see on the O’Reilly Factor or another Fox News propaganda program. None the less, it appears as if there are quite a few people in the core of the so-called alternative media who either don’t want to talk about this or who are trying to persuade people from looking at any of this information. With that said, I felt it was important to dig into this event a little bit more and issue some counter arguments to points people are making who disagree with my assessment. As stated in my previous article there were various oddities surrounding the company that ran this West Texas fertilizer plant including the Monsanto lawsuit, the timing of this event around the anniversary of the Waco Texas raid and the Oklahoma City bombing, a sizable drill taking place around the same time of the incident and of course the very interesting video evidence of the explosion. There is just a great deal about the event that does not add up. Watch left side of screen for approaching missile. Flames from missile/laser are streamlining & flowing back in the opposite direction. One of the possibilities that others have proposed is that a deflagration to detonation transition occurred which is something that has been associated with a variety of industrial accidents. The basic gist is when flammable chemicals and air mix a sudden transition from subsonic combustion to a supersonic detonation can spontaneously occur. Unfortunately the exact mechanism that causes this is still not fully understood and there are no theories that can predict exactly how this transition occurs. What is difficult to understand is how this phenomenon would have occurred so far away from the actual source of the fire where there is only the presence of light smoke. The smoke was moving towards an area away from the facility where no hazardous materials were stored. It also does not match up with the characteristics of video showing other chemical and gas facilities exploding. If this is a phenomenon commonly associated with industrial accidents than theoretically we should see this same phenomenon in video taken of other chemical plants that have caught fire and exploded. Back in 1988 a Nevada PEPCON chemical plant which stored ammonium perchlorate exploded after catching fire. Ammonium perchlorate is a similar but not quite identical substance to ammonium nitrate used for rocket fuel. Video footage of the PEPCON plant explosion does not show a flash or any sort of activity beginning mid-air away from the fire. Instead you clearly see an explosion creating a shockwave starting from the ground up where the chemicals were previously stored. In other footage depicting similar events they all show the blast originating on the ground despite all of the chemicals burning and mixing with the air. 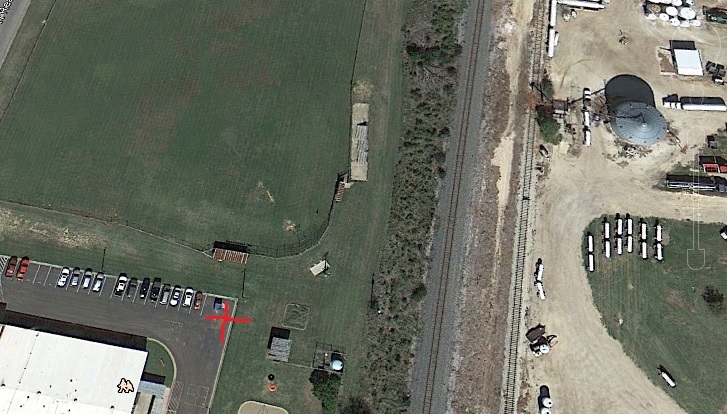 The footage of the West Texas fertilizer plant exploding is the only case I have found where the explosion appears to begin in the air away from the complex and not at the ground level. The footage shows what looks like some sort of object coming in away from the smoke towards the facility resulting in the eventual detonation upon impact with the gaseous fumes. In fact the clips seem to match up much more closely with the myriad of clips you can find showing test missile and bomb strikes. West Texas Plant Explosion vs PEPCON Plant ExplosionIt is also still unknown what sort of chemical was initially on fire. 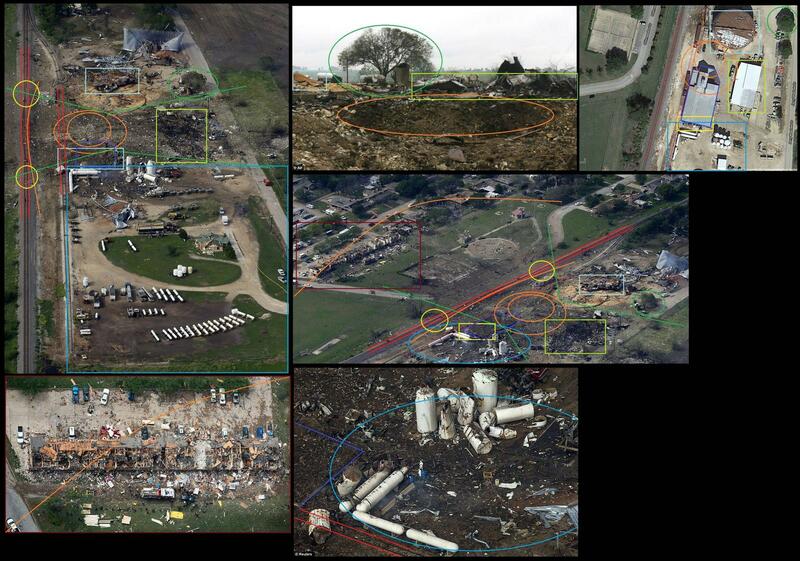 The plant was said to have stored both anhydrous ammonium and ammonium nitrate but without exactly knowing what we saw originally burning, it makes it even more difficult to conclude that this was the result of a deflagration to detonation transition. Anhydrous ammonium is far less flammable than its ammonium nitrate counterpart and would make the aforementioned mid-air detonation event less likely. It is also possible that what we saw originally burning wasn’t either one of these substances. The original fire certainly did not look anywhere near as severe if you compare it to the footage of the fire that engulfed the PEPCON facility. It is worth noting that in one of the earlier press conferences an individual from the Texas Department of Safety said that anhydrous ammonium was what exploded although it is hard to say if he confused the two different types of materials. In addition, a rail car filled with ammonium nitrate that was located on-site has been ruled out by a fire official as a possible source of the fire. So here we have a couple of reports concluding that it might not have been the ammonium nitrate that was originally burning. There is a third angle showing the plant exploding but unfortunately this angle isn’t as useful as the other two because the genesis of the explosion is obscured by the smoke. I have included it below for reference purposes since some have claimed this proves 100% that it couldn’t have been a missile strike. It might not show anything out of the ordinary but that doesn’t account for what the other 2 angles show. Third Angle Of West Texas Plant ExplosionPeople have also been wondering what sort of motive the government would have for ordering a missile strike on a plant like this. Like I mentioned previously we are dealing with some sick people who enjoy engaging in bizarre ritualistic killings. There would not be so many government sanctioned terror events in April if they didn’t enjoy this sort of ritualistic garbage. 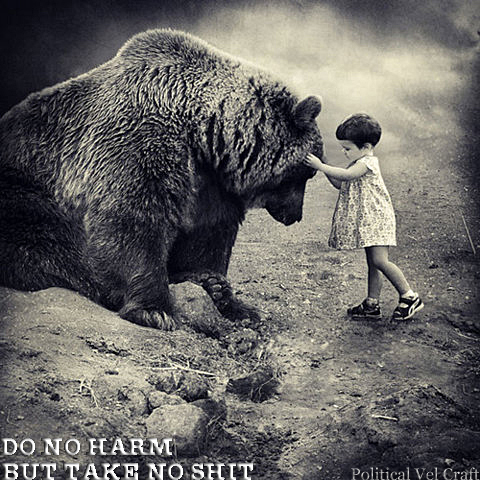 Despite all of this, there is one motive that seems to be a bit clearer considering some of the ridiculous news that has recently come out pertaining to the Boston Marathon bombings. In case you missed it, they have now been linking the bombs used at the Boston Marathon to gunpowder and fireworks. These are two types of explosive substances that can be easily obtained through legal methods. Between this and the plant disaster the motivation would be to build public support for more regulations or outright bans on any type of explosive material be it ammonium nitrate, fireworks, gunpowder or a myriad of other substances. The reason why the establishment wants more restrictions on these types of things is because they are scared of what could happen in the case of a societal breakdown. Chaos in the streets of American cities is absolutely a possibility when you factor in the ridiculously poor economy with roughly 50 million people on food stamps and the potential for the situation to implode at any moment. This is something that the Department of Homeland Security is obviously getting prepared for with the close to 2 billion rounds of ammunition they are stockpiling and armored vehicles that they have acquired. The last thing they want are people angry at the government who have access to explosive materials that can be made into IEDs, bombs and other weapons. So with this in mind, why not use a missile strike to destroy a facility like this to justify more restrictions and regulations on these types of materials? Another bizarre twist to this story is that a similar event dubbed the Texas City industrial disaster took almost 66 years ago to the date of the West Texas explosion from April 16th through April 17th of 1947. The SS Grandcamp which was docked with over 2,000 tons of ammonium nitrate detonated and created a large chain-reaction of fires and explosions which blew up other ships and facilities in the surrounding area. 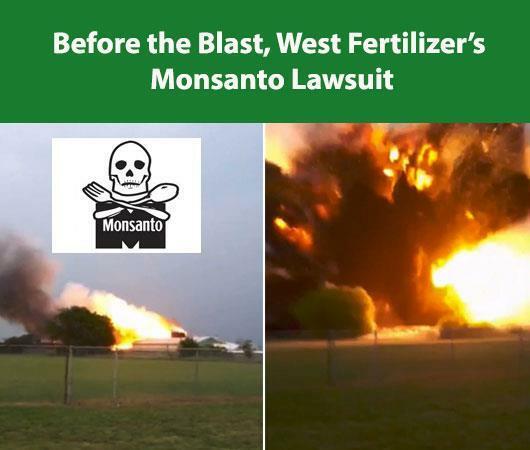 Curiously enough Monsanto had a chemical plant that was destroyed in this disaster which is interesting considering that they are linked to this current disaster with the lawsuit the West Fertilizer Company filed against them. 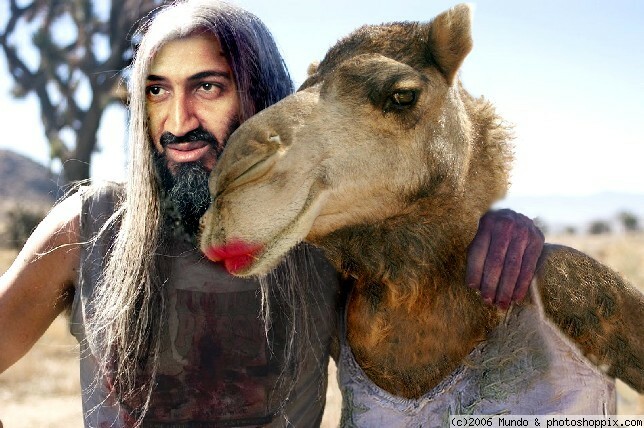 Either way, this is another tough coincidence to ignore just like the miraculous coincidence of the Obama regime claiming they killed Osama Bin Laden 66 years to the date of the day that Adolf Hitler was said to have died right on May Day. One other question that people have been asking is why the government would use a missile strike on the facility when it is already on fire? It is possible that the original fire was an act of sabotage but that they weren’t confident in the initial fire destroying the entire facility so a missile or some sort of weapon was used to be 100% sure the job got done. The people who have been trying to determine the cause have narrowed it down to being an accident, arson or an unexplained cause. A missile strike would certainly qualify as an unexplained cause with somebody intentionally setting the facility ablaze prior to the strike satisfying the prospect of arson. The idea of a missile being used to destroy this facility is not as crazy as people might think and it fits into what the investigators on site have been saying regarding the cause of the disaster. Based upon the information that I’ve seen thus far, I still believe there is a great deal of evidence to indicate that a missile was used to destroy this facility. If someone can provide a previous example of a chemical plant explosion that has similar characteristics to what occurred in West Texas than I will re-evaluate my stance on this. There are a lot of people who claim that there are a bunch of conspiracy theorists who want to believe this was a missile strike so they can automatically blame the government when the opposite is the case. 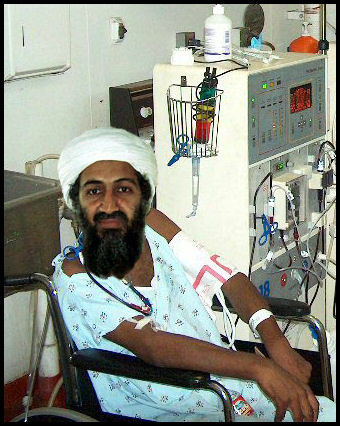 I do not want to believe that the government may have been behind this, I’m just going by what the evidence is showing. It is a fact that the government has financed numerous terrorist operations and has killed innocent people overseas with drone strikes so this is not a stretch to believe they would do something like this. 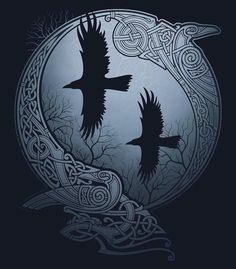 Unlike most so-called writers in the corporate media who engage in conspiracy theories and lie by omission in order for their point of view to fit the official story of whatever the government tells them, we are looking at and considering all possibilities. The possibility of a missile strike is just one of a number of prospects but at this moment I believe it is one of the more probable explanations for what happened. Even if my current point of view on this disaster is proven wrong, this event combined with the Boston Marathon bombings are undoubtedly going to be used to push more regulations on anything that might be considered to be an explosive substance. 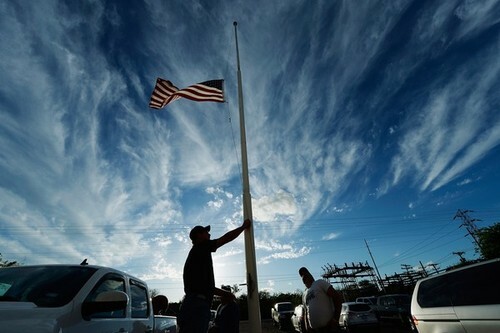 The United States economy is floating on endless debt creation and it isn’t going to last forever. When it falls apart the powers that be can’t have a bunch of angry people with access to materials that could potentially be used to make explosive devices. 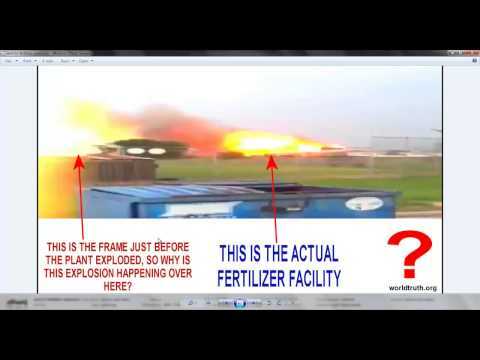 Hopefully more folks in the alternative media will begin to scrutinize what took place here because no matter if you disagree with my assessment; it is undeniable that there are many strange things surrounding this plant explosion. Just a couple days before the missile attack. Invalid. 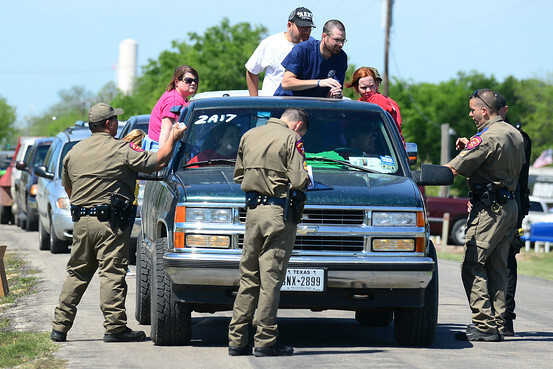 He was transported to the McLennan County Jail. At this early stage of the investigation it is unknown what Gaynor’s intentions with the device were. Waco Fire Department, Emergency Management, Crime Scene Technicians and ETMC assisted on the scene as well. 700′ from the center of the blast. BILDERBERGER -> Gov. 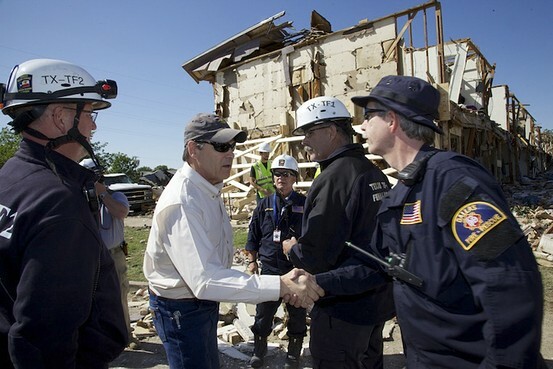 Rick Perry toured the disaster zone and met with local officials and state and local emergency responders Saturday. Big Win For Ron Paul: Republican Debate At Reagan Library ~ Rick Perry (Convert From Democrat, Bilderberger Attendee) & Mitt Romney On The Defense! Hillary Fined $300,000 ~ Rick Perry Not! : The Logan Act Bars Public Officials From Meeting With Bilderbergs Plus Five Scriptures You Didn’t Hear At Rick Perry’s Prayer Fest! Bilderberg’s Perry Plummets: Banker’s Sleeper Cell Herman Cain Resurrected. Ron Paul Stood With Ronald Reagan While Rick Perry Stood With Al Gore.